SA's limited innovations human capital. South Africa's human capital in research and innovation has over the past decade remained constrained as a result of the waning performance of matriculants in mathematics and physical science. This is based on data revealed in the 2016 South African Science, Technology and Innovation (STI) indicators report, which was released yesterday. It shows a lack of progress in the country's National System of Innovation (NSI) human capital pipeline. SA's declining pass rate in maths and science, two critical subjects for the advancement of the country's ICT sector, has been openly criticised, with education analysts often pointing to the small percentage of overall learners who pass these subjects. The STI indicators report is based on the analysis of the NSI performance during the period between 1996 and 2016. The report is released annually by the National Advisory Council on Innovation, an entity of the Department of Science and Technology (DST). The DST, headed by minister Naledi Pandor, has identified this publication as part of its contribution to building the monitoring, evaluation and learning capability necessary for assessing the health of the NSI. According to the report, the percentage of matric learners who passed maths and science with at least 50% remains low. In addition, the proportion of matric female learners passing maths and physics with at least 60% has been declining from 2008 to 2016. It further points out that over the past decade, the percentage of science, engineering and technology (SET) enrolments at South African higher education institutions has been stagnant, rising slightly from 28.7% in 2005 to 29.9% in 2015. The report states: "Unsurprisingly then, the undergraduate percentage SET enrolment has remained stagnant between 2005 (29.4%) and 2015 (29.7%). At the postgraduate level, a significant increase in SET enrolments as a percentage of total enrolments has taken place, rising from 25.6% in 2005 to 28.7% in 2010 and 31.3% in 2015." 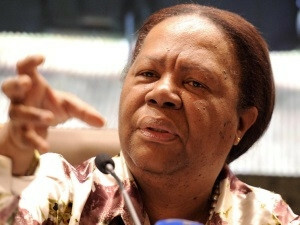 Science and technology minister Naledi Pandor. SET human capital capacity is critical to spearhead the country's research and innovation agenda in an effort to stimulate industrial competitiveness and economic growth through these and the wellbeing of citizens of the country, says the report. The percentage proportion of female SET enrolments is gradually on the increase, rising from 43.5% in 2005 to 46.2% in 2015. Similarly, the proportion of SET enrolments for previously disadvantaged individuals (PDIs) is on the increase, reaching 79.1% in 2015 compared with 7.3% a decade earlier. "This suggests some gradual transformation is taking place within the sector, although the pace at which this is occurring is slow given the rise in the share of the population taken up by PDIs over this period." Although the country's NSI is experiencing constraints in human capital, the report notes positive results in research capacity, as well as research and development (R&D) in the last decade. There has been notable progress in the expansion and transformation of research capacity, it states. "The percentage of female researchers has significantly increased. The proportion of female academic staff with doctoral degrees increased between 2005 (30.4%) and 2014 (39.1%), and the proportion of black (African, Coloured and Indian) female academic staff also increased, albeit slightly." In terms of R&D, the intensity and business expenditure on R&D in the agricultural sector increased from 0.29% in 2003/04 to 0.66% in 2014/15. "This is welcomed given the declining R&D intensity in manufacturing and other key industrial sectors on the one hand, and the importance of strengthening research and innovation related to food security on the other hand." The report also points to fact that there has been notable progress in knowledge generation in the country. "South Africa's world share of publications increased from 0.39% in 1996 to 0.69% in 2015."